Quinta de Roriz is one of the oldest and finest estates in the Douro, and was one of the first Ports to be bottled and shipped under the name of the quinta itself, a practice which continued into the early years of the 20th century. After some years of collaboration with the van Zellers to produce Roriz wines, the quinta and brand were acquired outright by the Symingtons in 2009. Quinta de Roriz has become the home of the Prats & Symington Douro DOC wines, although Vintage Port under the name of Quinta de Roriz continues to be made in exceptional years. Quinta de Roriz is one of the most spectacularly beautiful Quintas in the Douro, situated on the South bank of the river Douro between Pinhão and Tua, in the heart of the Upper Douro region. Roriz forms a natural north facing amphitheatre, rising to 450 metres of altitude. 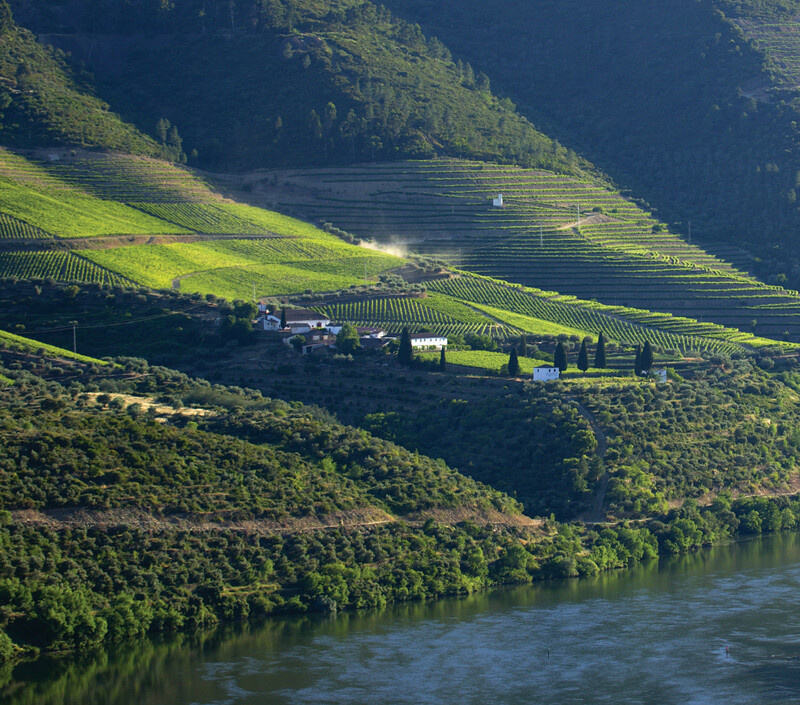 The position of the Quinta along the river and its altitude band are recognised as being ideal for the production of the Douro’s very best wines and is fully representative of the best of the classic river Quintas. The consistent climate in this part of the valley results in full ripening and very high quality wines in most years. The classic schistous soil of the Upper Douro predominates, but the soil composition and structure on this property are unique. The Quinta has tin and traces of gold in the rocky outcrops on the higher part of the estate. Mining activities at Roriz date from the 17th century when the religious Order “Comenda das Tres Minas da Ordem de Christo” exploited the rich ore deposits of the property. The mining only ceased after the World War II. The unique mineral structure at Roriz brings a strong individual personality to the wines. Quinta de Roriz is the home of Prats + Symington, which makes premium Douro DOC red wines, and in exceptional years, a Vintage Port. This is the only style of Port made at this quinta. The wide array of varieties planted at the Quinta create great aromatic complexity in the Roriz wines, which are known for being rich and well balanced, with great concentration and tannic structure. The wines have hallmark mineral tones on the palate. Quinta de Roriz has its own small specialist winery which is designed to make both Douro DOC and Port wines. The winery, house and chapel are situated on a small plateau in the centre of the quinta and the entire property is A-rated, the highest possible quality designation.